Samsung Electronics is one of the biggest technology brands in the world. When its employees are not busy creating new products for the next season, Samsung gives them time to let their creative juices flow in a department called the C-Lab (Creative Lab). In Samsung’s C-Lab they have the freedom to design and develop unique electronic products that can be showcased at tech shows like the CES and if they get positive response from the audience they may become products that can be available for purchase. 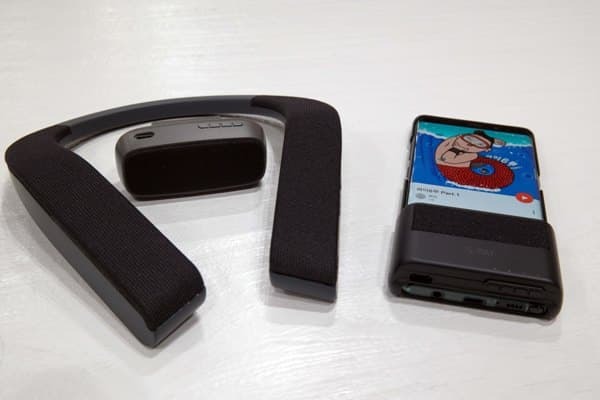 This year Samsung’s C-Lab has three major products to showcase which include a portable directional speaker, vision enhancing smart glasses and a recovery solution for people with lung damage. Let’s start with the first product, the S-Ray. The S-Ray or the Sound-Ray is a portable directional speaker. This speaker comes as a boon for people who want to keep their listening private but do not like to use earphones for a prolonged period of time. 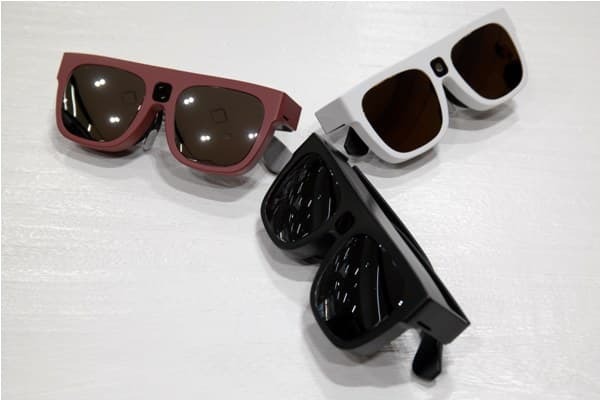 The S-Ray will be available in three variants, a hand held speaker, embedded as a neckband or as a smartphone cover. The S-Ray is a directional speaker that will only direct sound towards the designated listener so that two S-Rays can co-exist in the same room without interfering with each other. Since you do not have them in your ears all the time you can become more aware of ambient sounds such as announcements in a metro train or horn from a car. The S-Ray will not only find use in personal life but in professional use as well. For example as illustrated in this video below, you will be able get targeted audio to the customer who is standing at a particular shelf without that audio disturbing anyone else. Next on the list are the Relúmĭno glasses. Now Relúmĭno is an ongoing project from Samsung that was showcased as early as last year’s Mobile World Congress. Now at that time Relúmĭno was just a Gear VR app that was meant to be used by people with visual impairments. This worked in various ways such as improving sharpness by reducing blur, colour invert mode that converts text from a book into high contrast mode, partial vision mode for people with loss of central vision or peripheral vision and finally the display colour display mode which reduces brightness and contrast. Now all this was possible with an expensive Samsung smartphone and Gear VR but this time at CES they shall be unveiling actual glasses which people can wear. The processing power still rests with the smartphone that records the image from the camera on the glasses and sends back the processed images for the wearer to see. 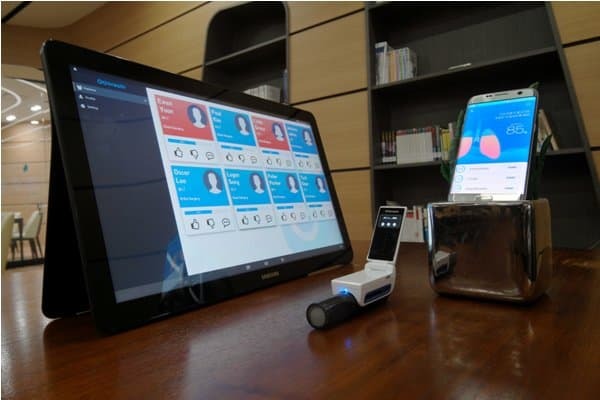 Finally we have the GoBreath which is a recovery solution consisting of a portable device and smartphone app that can help people who suffer from postoperative pulmonary complications after general anesthesia or lung damage. These patents are normally advised to use recovery techniques such as deep breathing, inspiration and coughing to restore their lung health. The GoBreath device will guide you and monitor these exercises and report them back to your doctor so that he/she knows how far you are in the process of recovery. The GoBreath system makes sure that the patients are safely performing their breathing exercises regularly. All these three products will be showcased at the upcoming Consumer Electronics Show to be held in Las Vegas from the 9th to 12th January 2018.